Kafeel Khan has been lodged in a Gorakhpur jail since September 2, 2017, after being arrested on charges of criminal conspiracy, attempt to commit culpable homicide and criminal breach of trust by public servant, among others. 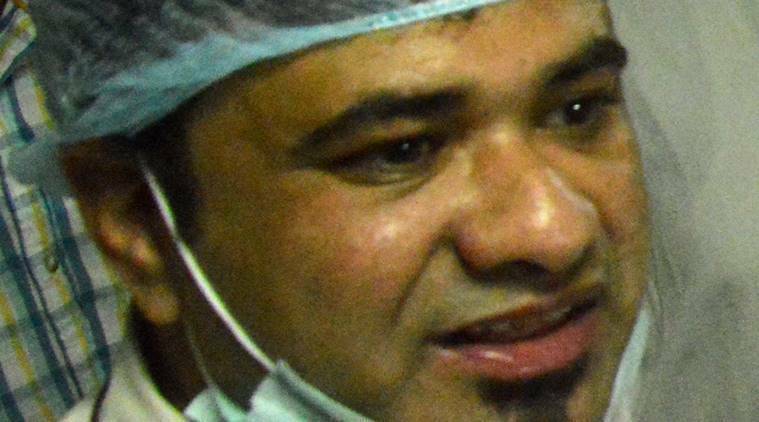 Dr Kafeel Khan, who was suspended by Gorakhpur’s BRD Medical College over the deaths of several children in a short span, has been granted bail by the Allahabad High Court on Wednesday. Justice Yashwant Varma granted him relief after hearing his bail application. He has been lodged in a Gorakhpur jail since September 2, 2017, after being arrested on charges of criminal conspiracy, attempt to commit culpable homicide and criminal breach of trust by public servant, among others. Recently, in a letter he wrote while in jail, Kafeel claimed that he has been made a scapegoat along with others for what was essentially an “administrative failure” at management level. Khan’s wife Shabista released his letter to the media at the Press Club of India last week. The paediatrician claims that he was on sanctioned leave on August 10, 2017, when news reached him about the children deaths. “The moment I got that WhatsApp message on that fateful night, I did everything a doctor, a father, a responsible citizen of India would/should do… I tried to save each and every life which was in danger due to sudden stoppage of liquid oxygen,” he wrote. Khan claimed he was forced to surrender after his family was hounded and tortured. He was earlier removed as head of paediatric department by Chief Minister Yogi Adityanath for the deaths of over 70 children. The hospital administration had denied all charges of medical negligence.